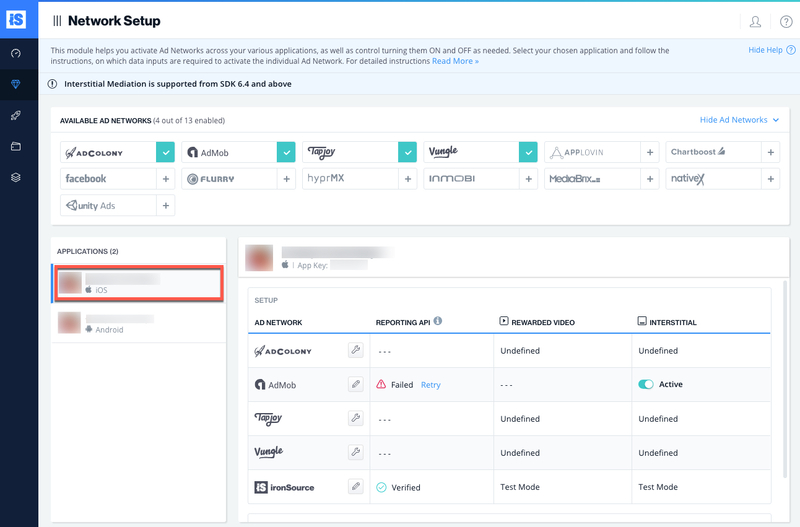 <uses-permission android:name=”android.permission.ACCESS_NETWORK_STATE” />This guide will instruct you step-by-step on how to set Vungle live as an ad network on the ironSource Mediation platform. The ironSource Mediation platform now supports the simultaneous activation of Vungle’s Rewarded Video or Interstitial for our iOS, Android and Unity SDK 6.6.5+ and Vungle adapter version 3.2.1+. Create an account with Vungle. You can do so here. Once your account has been verified you can log in at their partner login here. Once you log in, go to the Pub/Management drop-down in the upper-left corner. 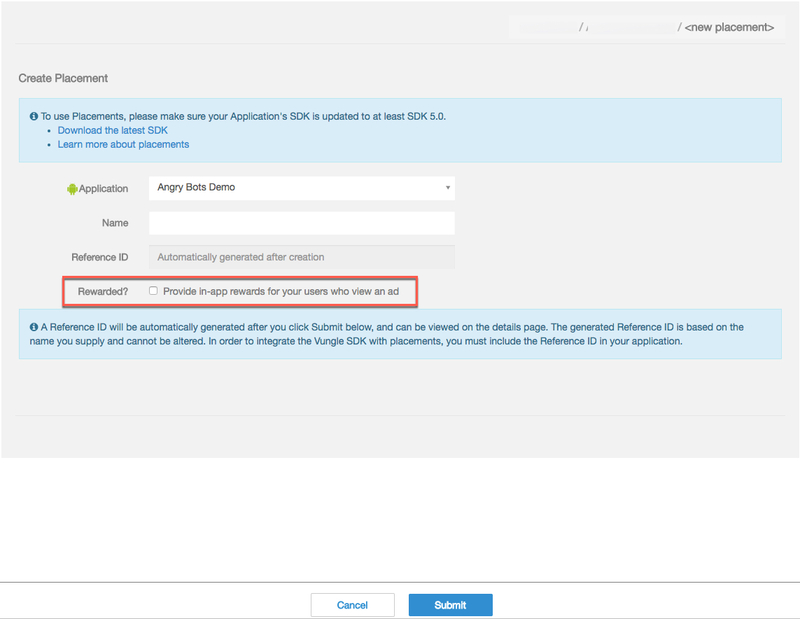 Application Name – Enter the name of your application. If it is live in the AppStore or Google Play, Vungle will automatically import most of the settings and auto-fill the form on your behalf. Category – You can select the application Category. Type – Select Free or Paid. Frequency Cap – We recommend 0 cap. 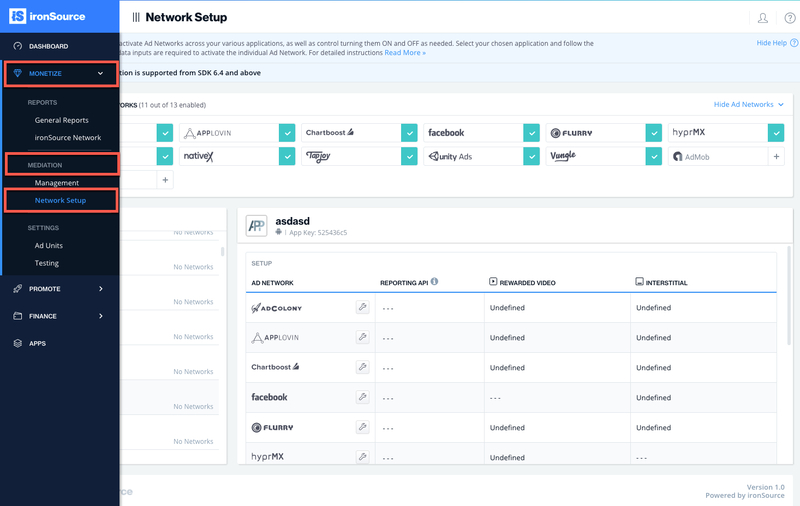 This can be controlled for ALL Mediated Networks via your ironSource platform. Force View – We recommend keeping the ‘Force View’ settings. These improve conversion and eCPM. Maximum Ad Duration – We recommend 60+. This increases the amount of available video inventory Vungle can serve and increases total revenue potential. Callback URL – Leave this empty. If you choose to use server-to-server callbacks this will be handled directly by the ironSource SDK for all Mediated Networks. Note: You will need a unique Vungle application per platform (iOS + Android) just like you do with your ironSource account. Name: Fill in the name for the placement. 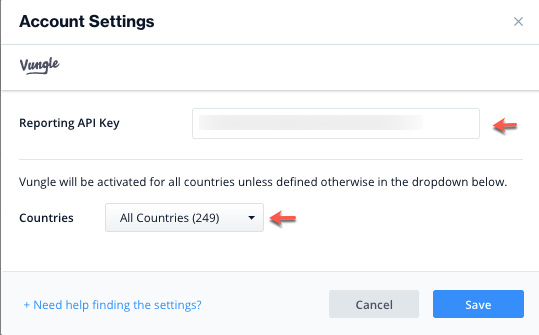 Vungle generates a Reference ID based on the placement name and you will not be able to edit this once you click submit. 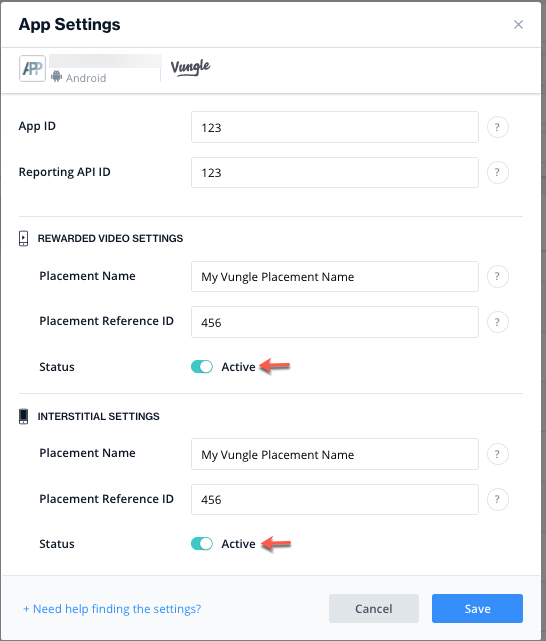 Ad Unit: If you plan to serve Rewarded Video ads through Vungle, check the Rewarded? box. If you plan to serve Interstitial ads through Vungle, leave this box unchecked. Then click ‘Submit‘. You will then see your Reference ID in the third column. Reserve this piece of data as you will need to enter it on our platform. Vungle App ID This is the unique identifier of your application in Vungle’s system. Reporting API ID This is a unique identifier for your app in Vungle’s system, used with the Reporting API to track app performance. Reporting API Key This is a unique identifier for your Vungle account. 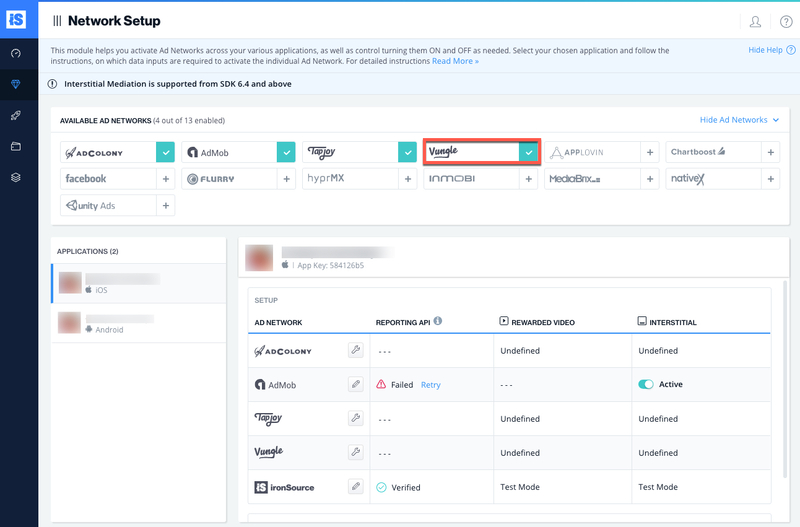 Along with the Reporting API ID, this will allow your ironSource Mediation Platform to import performance data from your Vungle account. Placement Name & Reference ID This is the unique identifier of the ad unit, necessary to differentiate Rewarded Video from Interstitial ads. Once you obtain this information, you must configure Vungle’s parameters in your ironSource Account. By adding the above information correctly, you will be able to take full advantage of Vungle’s ad inventory and reporting data on ironSource‘s Mediation platform. Just below your ‘Vungle Application ID‘, you will find your ‘Reporting API ID‘. Navigate to the Pub/Management page and select the relevant application. Once you’ve collected all necessary parameters, log in to your ironSource account. Click ‘Save‘. 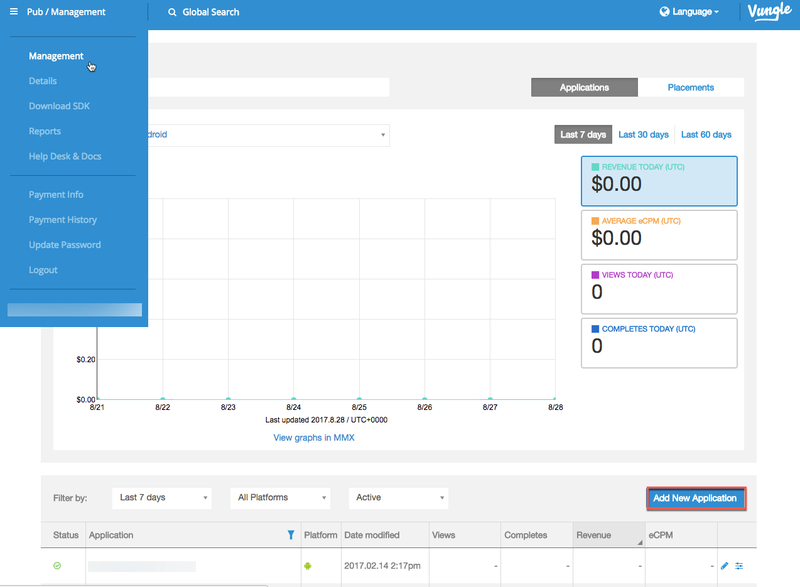 Vungle will then be enabled in the Available Ad Networks table. Select the app on which you’d like to run ironSource’s Rewarded Video and/or Interstitial with Vungle. 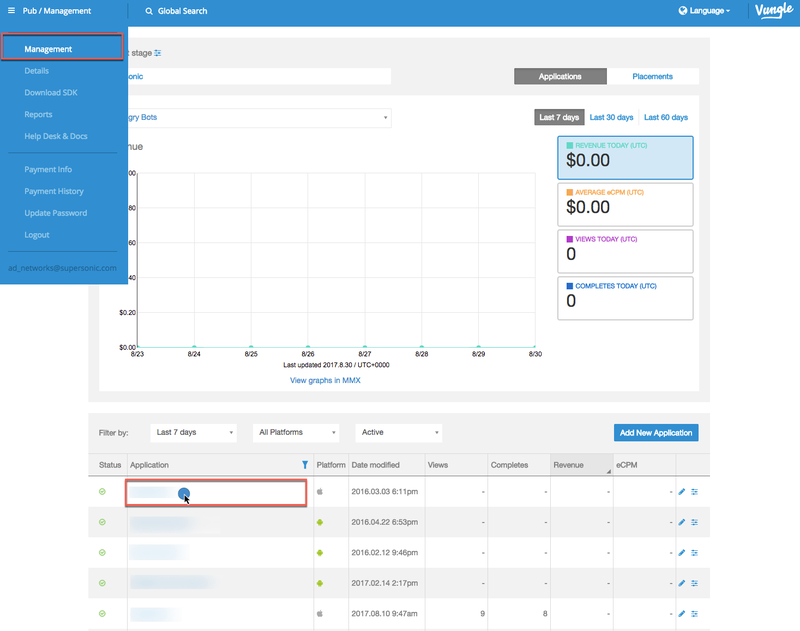 Select Vungle from the Setup list of Ad Networks and click on ‘Define‘. Insert the ‘App ID‘ and the ‘Reporting API ID‘. Then enter the Placement Name and Placement Reference ID for Rewarded Video or Interstitial in the relevant fields. Set status to Active and click ‘Save’. You will then see Vungle as Active in the Setup Module. Add the Vungle Adobe Native Extension to your build. You can find the latest Vungle ANE here. To add the ANE, simply add it to your project by clicking on project properties ➣ Flex build path ➣ NativeExtension tab. Click on ‘add ANE‘ and choose file you have downloaded in the previous step. Add the following ANEs to your project. Make sure they are marked as a package only for Android. 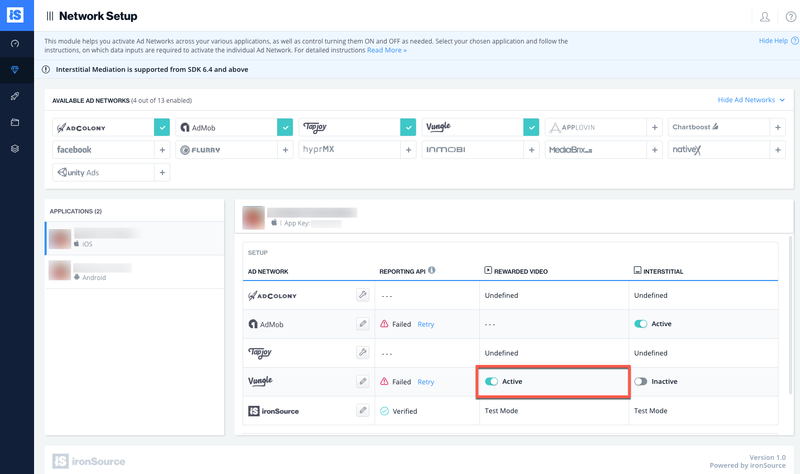 You are now all set to deliver Vungle Ads within your application!